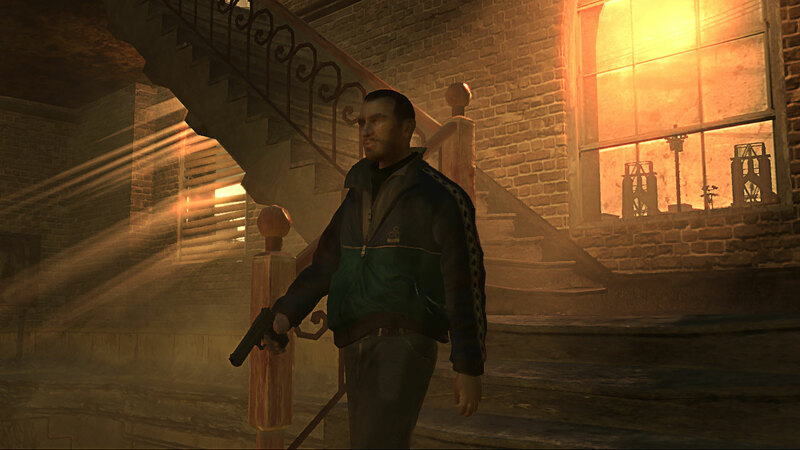 Niko Bellic, the main character. GTA IV follows the release of the hugely successful GTA: San Andreas (which was released for PlayStation 2 in 2004, and then later for PC and Xbox during 2005) and also marks the 10th anniversary of the Grand Theft Auto franchise. With Grand Theft Auto 4 being the milestone that it is, Rockstar Games has been working overtime on perfecting the game. According to Janco Partners analyst Mike Hickey -- a financial consultant for Take2 Interactive -- approximately 150 developers worked on GTA 4. Grand Theft Auto IV was announced on May 9, 2006 at Microsoft's E3 press conference. Peter Moore (who was Corporate Vice-President of Microsoft's Interactive Entertainment Business division at the time of the announcement) rolled up the left sleeve of his t-shirt to reveal a GTA4 tattoo on his arm. He announced that GTA 4 would be available on Xbox 360 in 2007, and revealed that Microsoft and Rockstar Games had formed a strategic alliance in order to provide exclusive episodic content for Xbox Live, giving the community ever-expanding gameplay experiences. The contents of the Grand Theft Auto IV special edition. Take2 Interactive then issued a press release which announced that GTA IV would be released simultaneously for PlayStation 3 and Xbox 360 in October 2007. However, the game was delayed on August 2, 2007, because some elements of the development were proving to be more time-intensive than originally expected. On January 24, 2008, a worldwide release date of April 29, 2008 was announced by Rockstar Games. 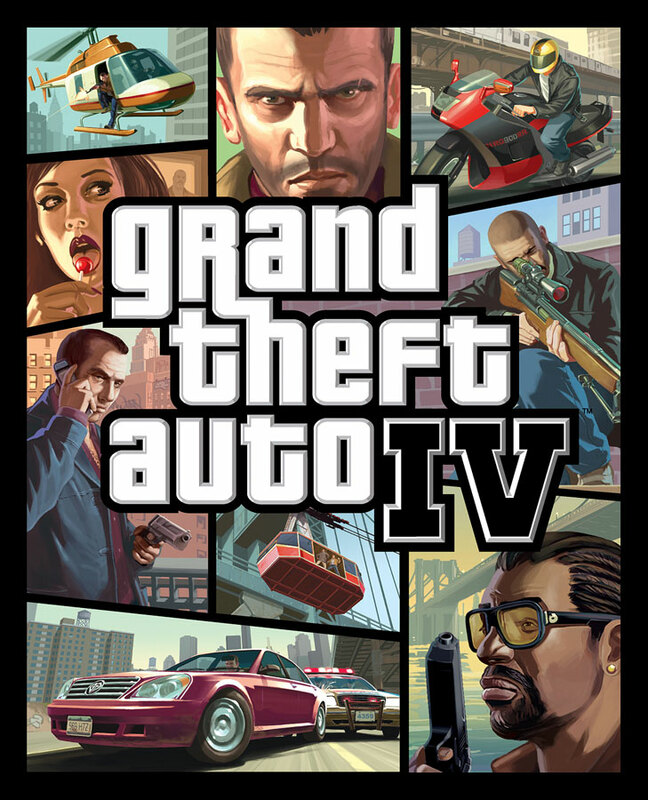 It was announced on May 21, 2007, that GTA 4 would be available as a special edition on the same day as the regular edition. 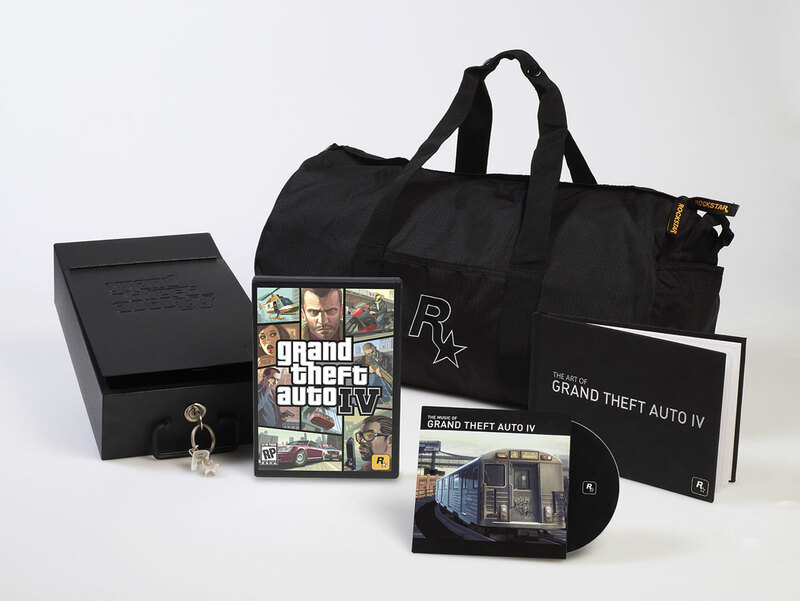 It is presented in a customised Grand Theft Auto metal safety deposit box, and includes the game, a limited edition duffel bag, an exclusive keychain, a selected soundtrack CD, and a Grand Theft Auto IV Art Book, featuring never-before-seen production artwork from GTA4. 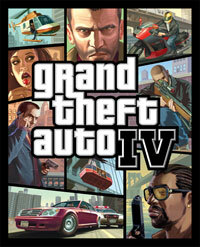 Grand Theft Auto IV was announced for the PC during August 2008, with the release date set for late November. This was soon delayed however (hey- it wouldn't be Grand Theft Auto if it wasn't delayed!) until early December. The game was eventually released on December 2nd and December 3rd, in North America and Europe respectively. The PC Video Editor feature. In terms of content, the PC version contains some exclusive material which the console versions don't have. Firstly, it contains a customisable MP3 radio station known as Independence FM, allowing you to listen to your favourite tracks in-game; secondly, the multiplayer (which features a maximum of 32 players as opposed to 16 on the console versions) includes a new Custom Match feature which enables you to search for online sessions which fulfill specific criteria (such as number of players, game mode, location etc. ); and thirdly, a selection of new clothing items are available in multiplayer. Also exclusive to the PC version is the Video Editor feature, which enables you to record short replays and then combine them later into a video, with the option to add filters, transitions, custom camera angles, music and text overlays. The footage can then be exported to your hard drive or shared with the Rockstar Social Club community via Social Club TV, which is basically Rockstar's version of the popular video site YouTube. Of course in addition to all of this, the PC version provides stunningly detailed, high resolution graphics (with multiple options to customise your experience) and also the potential for modding. The GTA modding community has grown considerably since the release of Grand Theft Auto III on the PC in 2002, as players look to prolong their interest in the game by adding new weapons, missions, vehicles, skins and maps. Niko can use a mobile phone to recieve calls and phone his contacts in order to arrange missions. He can also use it to call taxis and purchase weapons. The options presented on the phone's LCD are Phonebook, Messages, Organizer, and Camera. The phone can also be used to access multiplayer. Pedestrians perform realistic actions. They smoke cigarettes, read books and newspapers, drop litter, talk on mobile phones, walk in and out of buildings, and generally act like any normal pedestrian in a real city would. 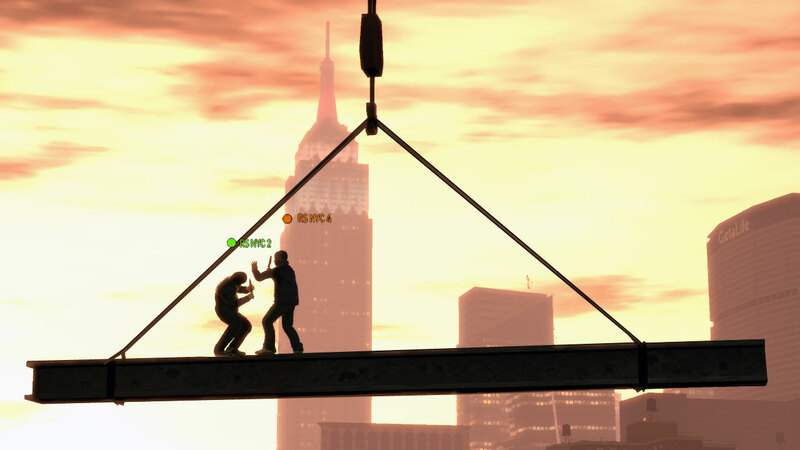 GTA IV features fifteen multiplayer modes, which can be accessed through the mobile phone. Multiplayer supports up to sixteen players, and the game modes include Deathmatch, Mafiya Work, Cops n' Crooks and Free Mode. It is possible to surf the internet in GTA4 via internet caf�s. It is available from any computer in the game, and provides a hub for all sorts of interactivity within Liberty City. There are over 100 in-game internet websites. In GTA IV, you will gain a police wanted level for any crime that you commit, providing there are witnesses present. The police can only chase you if they know where you are, and they need to see you to know where you are. If you escape the search area marked on the radar without being spotted, your wanted level will disappear. In terms of scale, GTA IV is about the same size as GTA: San Andreas, but the map size is considerably smaller. This is mainly due to the fact there is no desert or countryside in Liberty City. Liberty City in GTA4 is the biggest single city that R* have ever created. 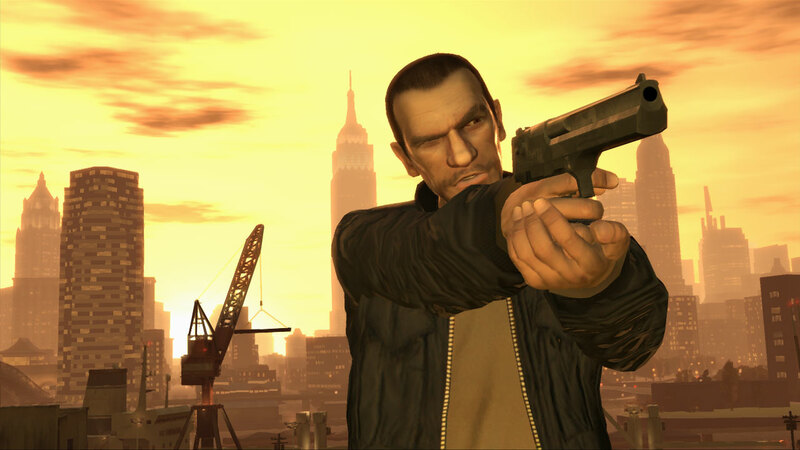 In GTA IV, the line between on- and off-mission has been blurred, and the story is less linear. It is also possible to do more than one mission at a time. For example, some missions take place over several days and may involve waiting for phonecalls or attending interviews, and you are free to carry out other business during the waiting period. The story can be told in a number of different ways. Rockstar are trying to give people greater freedom and sense of control over their destiny. You now have a lot more choice in what you want to do. Every street in Liberty City contains a street sign with a name on it. Cars feature GPS navigation systems, which identify the best routes to take during missions, and highlight them on the radar. Developing relationships with characters is an important aspect of the gameplay. Maintaining good relationships will provide different rewards to Niko. Niko can socialise with other characters in order to maintain a good relationship, for example they can go bowling together, they can go to the cabaret, go to comedy clubs, and go drinking together. Grand Theft Auto 4 runs on Rockstar's proprietary next generation game engine, R.A.G.E., allowing for an unprecedented level of realism and interactivity. New sunlight and weather effects which give the city a whole different appearance as the time of day progresses. New volumetric lighting effects are evident in this screenshot. Volumetric lighting effects allow sunlight to stream realistically into dusty interiors. Police spotlights will likely benefit from this effect as well when helicopters kick up debris. Normal (bump) maps will provide much more detail in models than the underlying polygons, as well as giving materials more texture and depth. Road and building textures are more varied than in previous GTAs. On some roads you will find potholes, metal plates (etc) where the road has been dug up. Modern pixel shaders give water, glass, cars, etc.. more realistic reflections and shininess than the earlier games. In cars, you can see real reflections on the rear and side-view mirrors. 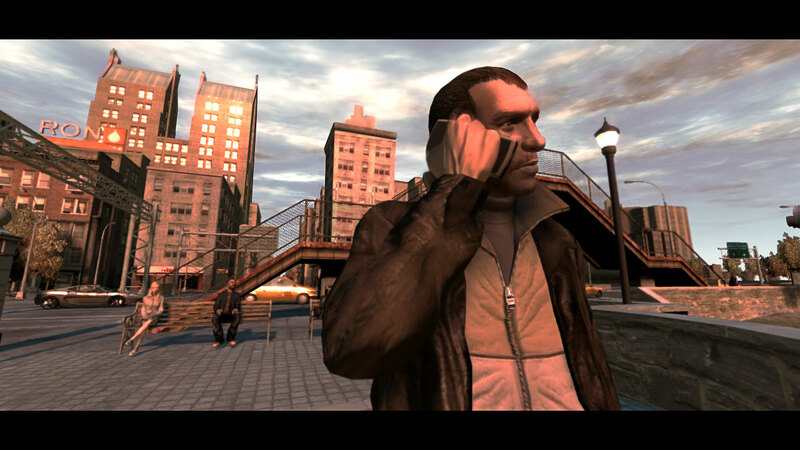 GTA4 uses euphoria, a fully procedural animation package created by NaturalMotion. The core technology is the Dynamic Motion Synthesis (DMS) system. Characters have the ability to hang on to the back of vehicles. Variations in the terrain are met with realistic changes in the walking animation. Unique game moments. Animations are created on the fly, so each player's experience will be unique. Gamers are no longer subjected to pre-recorded animations. Characters will react realisticaly to being hit with gunfire, cars, and melee weapons or fists. Players will be able to push people out of the way, rather than "floating" past them as in older games. Falling/thrown characters will react as in real life- They won't simply be limp, lifeless ragdolls. Nor will they use a canned "super hero" animation like before. Characters (and players?) will be able to hang on to helicopters and trucks, which will swing them around as the vehicle moves. 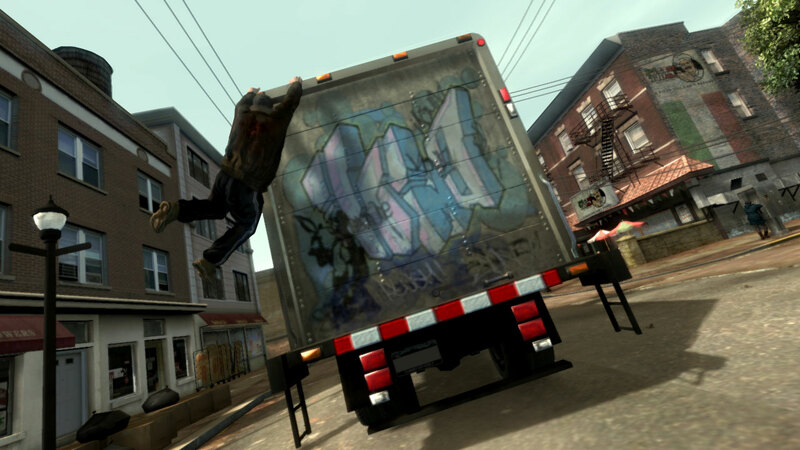 Click here to view a timeline of significant Grand Theft Auto IV events.